Below are two teaser trailer from upcoming anime projects from two of Flicks News favorite anime directors. It is the story of a young woman giving birth to the children of her beloved wolf man. But when he dies, the woman takes the children far from the city, to raise them in a small rural town. 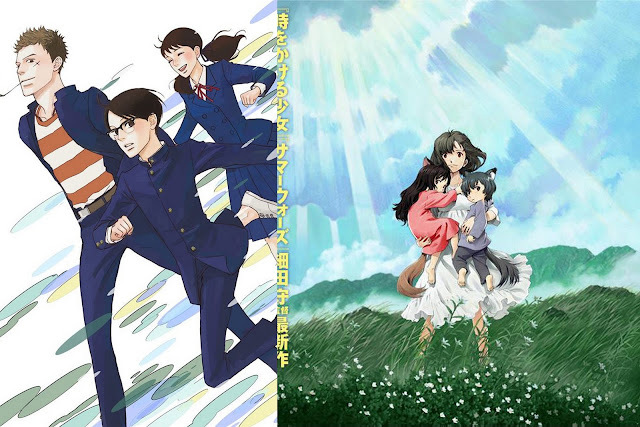 'The Wolf Children Ame and Yuki' will be released in Japan on July 21, 2012! His new series is 'Sakamichi no Apollon' (aka, Kids on the Slope), set in the late 1960s, about a teenager who has never lived too long in the same place, due to his father’s work. But for the first time of his life, he will start enjoying his new home, after making some friends who share the same passion for jazz. 'Sakamichi no Apollon' will begin airing in April 2012.